Free admission, craft activities, live music, and special glassmaking experiences kick off the holiday season. Visit and get your picture taken with Santa, and make your own holiday sandblasted drinking glass. Hear local caroling groups and bands of all ages as they provide live holiday music throughout the Museum. Decorate (and eat!) a holiday cookie, and enjoy holiday crafts (nominal fee) and a general atmosphere of holiday cheer, all weekend long. Find one-of-a-kind pieces of glass art made by the nationally and internationally known artists who create work at The Studio throughout the year. You'll find original works in glass at great prices—a perfect place to start your holiday shopping. Proceeds from the glass sale support our scholarship fund and residency programs. This year's sale is located just down the hall from The Studio. Follow the directional signs from The Studio's main entrance. Contact The Studio at (607) 438-5100 with any questions. Stay Saturday night and enjoy holiday activities in Corning’s historic downtown Gaffer District. For regional information visit fingerlakeswinecountry.com or see Hotel Packages. Enjoy discounted Holiday Open House glassmaking experiences this weekend only, each day from 9 am to 5 pm. Make blown holiday ornaments, hot glass flowers and flameworked icicles for just $15 per item. Create fused flat-glass ornaments in the kiln, or sandblast festive designs on drinking glasses for $10 per item. Age restrictions apply to certain activities. All projects, except sandblasted items, need to cool overnight. Holiday Open House projects on December 1 and 2 are available for pickup after 3 pm on Wednesday, December 5. Shipping is available to the U.S. and Canada for an additional fee. Advance registration for Holiday Glassmaking Activities is now available. Note that these activities are expected to sell out quickly and booking ahead is strongly encouraged. 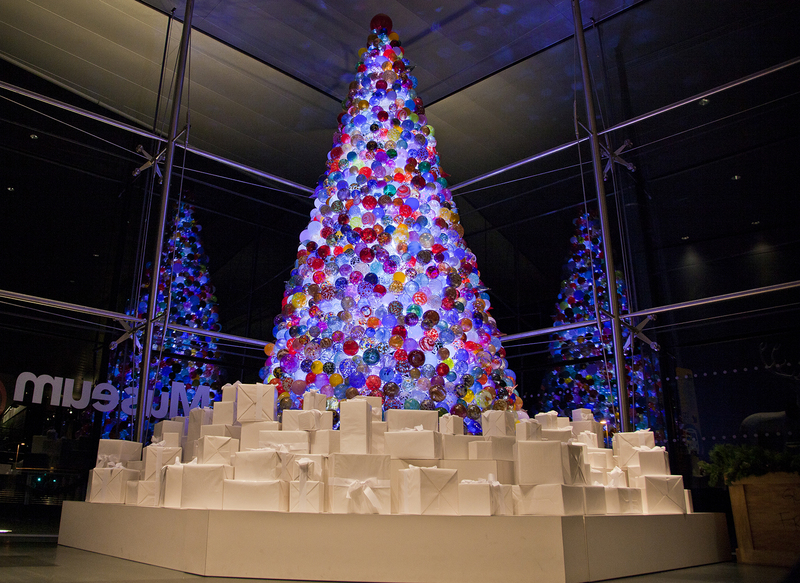 A holiday tradition continues at The Corning Museum of Glass. For only $6 per person, enjoy Breakfast (8:30 am) or Lunch (12 pm) with Santa in the Museum’s Auditorium, with live entertainment provided. Reservations are required. Spaces fill quickly and may not be available on the day of the event. This event is sold out.